Brain cancer. 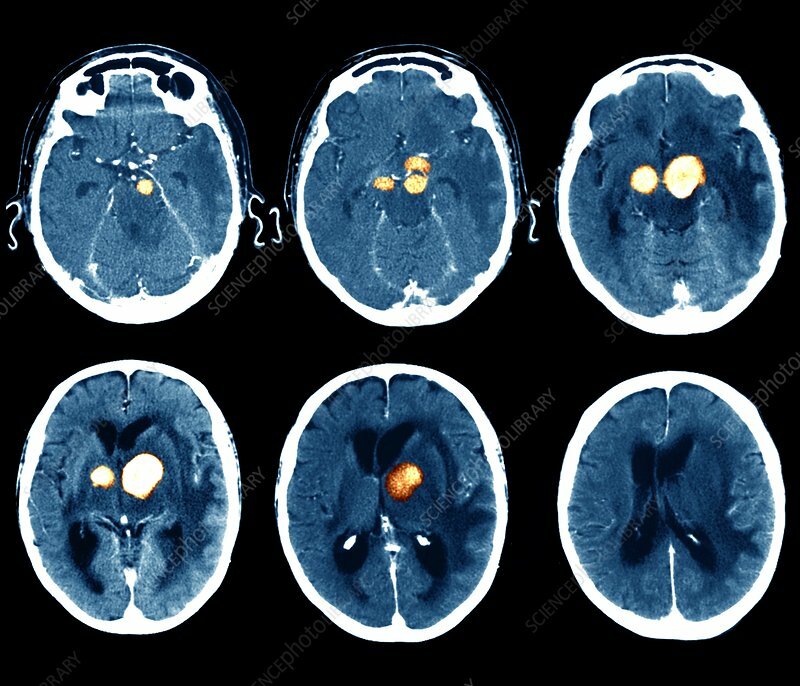 Coloured axial (horizontal) computed tomography (CT) scan sequence through the head of a patient with a cerebral lymphoma (orange). The front of the head is at top in these views. The lymphoma is at the level of the brain structures called the basal ganglia. A lymphoma is a cancer of the lymphatic system. Lymph tissue is part of the immune system, producing cells to help fight infection. Uncontrolled growth of lymphatic tissue has produced this growth that is damaging the brain. Anti-cancer drugs, radiotherapy and surgery can be used to treat cancer. CT scanning uses X- rays to form slice images of the body.